YouTube is a great source of information, inspiration and even entertainment for programmers. You can watch videos some of which will educate you about a programming language while others will inspire you about the programming life in general. So, as a programmer, which channels should you subscribe to? 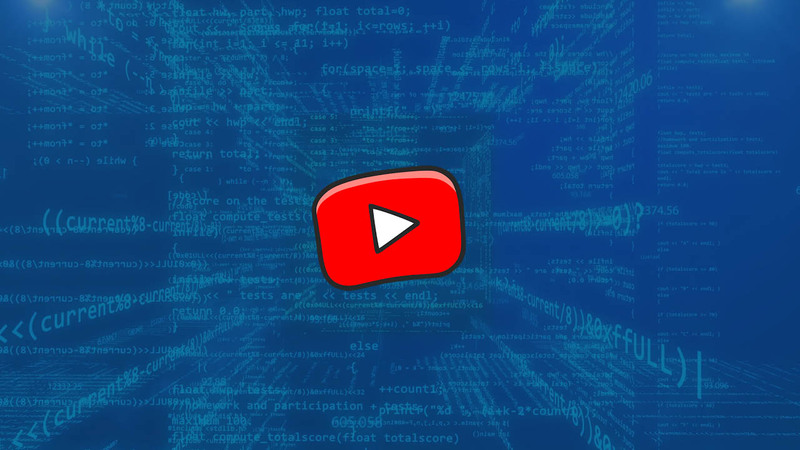 Read on as we give you a comprehensive breakdown of the 10 best YouTube channels for programmers in 2019. Derek Banas is a popular YouTube channel that covers a wide range of tech-related topics including programming. Some of the video content that you will find on this channel include programming tutorials, game development, web design among many others. When it comes to programming, the channel gets into deep details of some languages. For instance, it has video tutorials on C#, Python, and AngularJS. The has videos on tips of using some frameworks such as Django. Derek Banas is a YouTube channel that can suit any programmer regardless of the experience. In this channel, you will find more than 4000 videos all of which are related to programming. Some videos on the channel are suitable to the newbies while others are for the advanced coders. You are free to choose any video that you want. Some of the topics that are covered on the channel include web development, web designing, and Android development. When it comes to programming languages, the channel is quite generous. It literally covers all the languages including C, C++, R, HTML, Python, Java among others. It also has useful tutorials on command-line programming using Linux. The channel has videos that offer smart coding tips that every programmer should apply. The owner of this channel has put some efforts to satisfy the need of all programming enthusiasts. This is because the videos on the channel are relevant to all types of programmers. Whether you are just setting your foot into the programming world or you have been here for years, you will learn something. The channel covers different programming languages that you may want to learn. Some of the tutorials that are on the site are about C, C++, Java, Android, and Python. Apart from the programming languages, the channel also has videos on tips for becoming a successful software engineer. There are also some informative tutorials that can take you from zero to 100. The site has tutorials on JQuery, Node.js, Vue.js, and Docker. Treehouse is a well-known platform that hosts programming tutorials. Apart from accessing their official website, you can go to the site’s YouTube channel and still get valuable information. Whether you want tutorials about specific programming languages or just some general tech-related information, the channel won’t disappoint you. There is no doubt that Google is a force to reckon with in the programming arena. It has a big influence on how some things are done or should be done. Whether you are an Android developer iOS developer or just a web programmer, you should you should always be on the lookout for the videos that are posted on this channel. Although Google Developers’ YouTube channel does not have tutorials about a specific programming language, the videos posted on the channel are worth your time. You will find educational series, motivational talks, best practices and updates on some products from Google. Eureka is a popular YouTube channel that any programmer should watch in 2019. The channel is trying to revolutionize the way education is delivered to the upcoming generation of programmers and tech students in general. The channel contains videos on lectures, seminars, and webinars. Edureka has videos on the hottest tech topics such as Blockchain, artificial intelligence, machine learning, Big data among others. It also features tutorials on programming languages such as Python and Java. Code Course is a YouTube channel that specializes on providing purely programming content. As the name suggests, it has programming courses for anyone who wants to learn to code, whether you are just starting out or you have years of experience in programming. The channel offers useful tips for writing cleaner and efficient codes. You will gain some knowledge regarding the coding ethics. This is among the many YouTube channels that are owned by Brady Haran. He is known for his passion for technical subjects especially mathematics and computer. He shows us his passion for technology through Computerphile. The YouTube channel covers many things about computers and technology in general. Some of the hottest topics on the channel include coding, game development, Blockchain, among many others. The channel is also a good source of entertainment and news which are relevant to the programmers. Are you interested in game development? You better learn and get inspired by someone who is experienced in this field. The Cherno Project is a YouTube channeled that’s owned by an experienced software engineer who has worked in the Electronic Arts. Also, the channel has useful tips on C++ and programming in general. I hope that you find this list of the best YouTube channels for programmers meaningful. Apart from programming, these channels will equip you with other relevant information that will make you be a better coder.